I love my bouncy little friends. They're starting bask in the sun, when there is sun, so I keep seeing more and more of them. 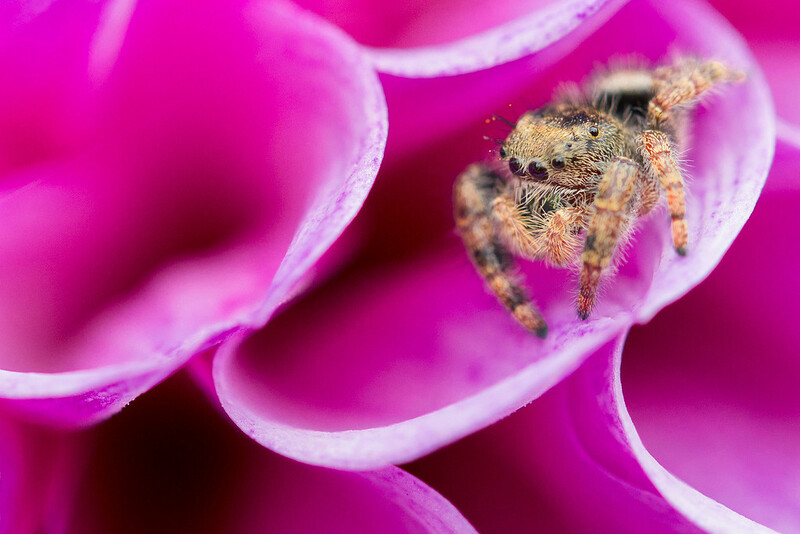 I love the way they track activity around them; jumping spiders are active predators and it shows with their big eyes and their constant swiveling to keep potential prey in view. These guys are so much fun!